LexisNexis® Social Analytics (powered by Talkwalker) is a social media intelligence platform that provides deep insights into everything about your brand or your competitors that appears in social media, thus enabling you to take the best possible business decisions. If you don’t have the time or resources to analyze the data in depth yourself, we can analyze it for you and produce the graphical representations that you specify. Keep up with the times and derive the maximum benefit from your social media presence. Discover what is being said on social networks about you, your brand, products or advertizing campaigns. Leverage social media conversations to better understand your brand positioning. Monitor social media proactively to protect yourself and your reputation from possible crises. Gain important insights from more than ten social networks and 150 million websites. Convert data from social networks into crucial insights. Identify patterns, follow trends and identify the weaknesses in your campaigns. 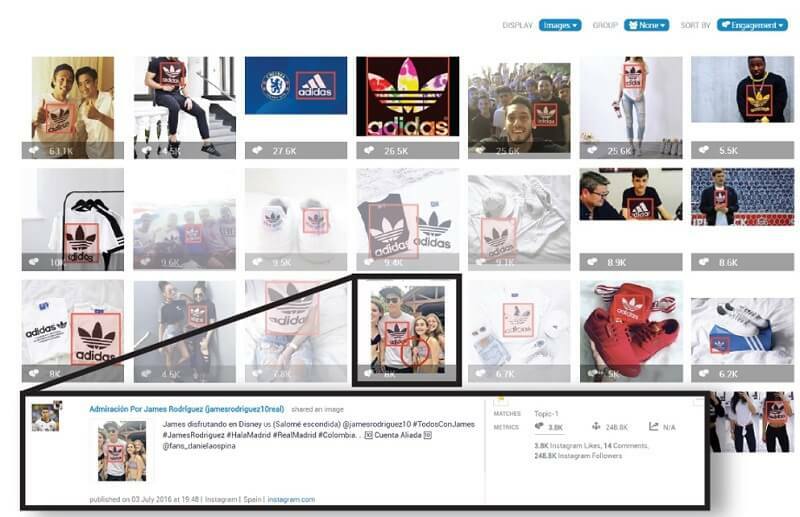 Use the analysis tool for image recognition, virality mapping, geolocation tagging, sentiment analysis, hashtag tracking and many other purposes. Millions of social media messages are published around the world every second. LexisNexis® Social Analytics helps you extract the information that is important to you. A range of social KPIs enable you to set meaningful targets for your campaigns. 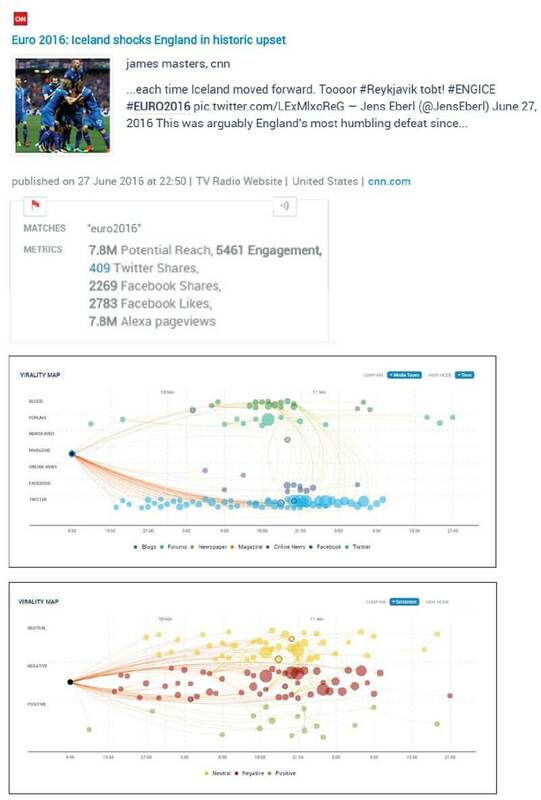 Identify important campaign metrics in real time. Reach more of your target group with important information about the preferences of your audience. With a deeper understanding of your customers’ wishes you can reduce the risks associated with a new product or campaign. Engage your target group in dialogue by speaking their language. Identify social best practices in your market by measuring relevant social KPIs. Compare your performance with the industry standard. Determine the level of brand awareness in your market by measuring your share of voice. Identify weaknesses and customer difficulties by analyzing the discussions and customer comments in social networks and public forums. Improve your customer service on social networks by using filters and tags to sort customer feedback. Use social KPIs for sentiment analysis to compare your social customer support. Use sentiment and emotion analysis to refine your brand message and measure success. Leverage data on social trends to develop products that your customers want. Be forewarned of potential crises in real time. Monitor negative comments about your brand. Prevent a crisis going viral by using Virality Map to keep track of things. Develop a relationship with your target group by identifying the issues and problems that matter to them. Refine your strategy by pinpointing the right content and media for the best social engagement. Identify influencers who can help you distribute your content. Identify key trends by analyzing data going back up to two years. Discover the factors that generate positive sentiment. Network with powerful influencers in your sector. Improve your credibility by finding the right influencer for each campaign. 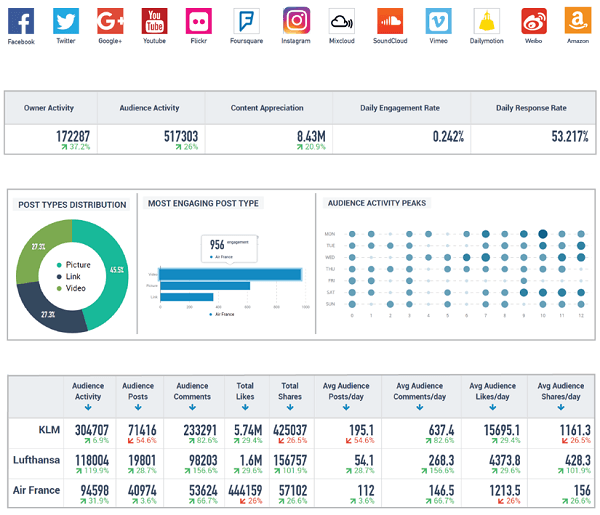 Use social KPIs to measure the success and ROI of your influencer campaigns. Use top hashtags and topics to maximize the interest of the social community in your campaign. Always know what are the hottest keywords in your sector. Use filter options to create targeted campaigns for particular regions and demographics. Respond more quickly to negative comments on social media. Develop an effective reputation management strategy by remaining constantly aware of the emergence of new problems online.